This dessert is simple, fresh, and fruity, with a hint of blended citrus. Substitute any unsweetened berry, or even fresh-frozen mango cubes, for the strawberries; just use lower-carbohydrate fruits. Make a double batch for a backyard barbeque or outdoor party. The citrus syrup may be prepared in advance and refrigerated. It is also delicious as a sweetener and flavoring for iced tea. Slightly thaw the berries by placing them in a large bowl at room temperature while the other components are being prepared, about 20 minutes. Remove wide strips of zest from the orange and lemon with a vegetable peeler and scrape off any bitter white pith. Combine the Splenda with ½ cup water in a small saucepan and add the citrus zests and juices. Bring the mixture to a boil, reduce the heat, and simmer for 5 minutes. Allow the syrup to cool a bit, and then strain the mixture, discarding the zest. 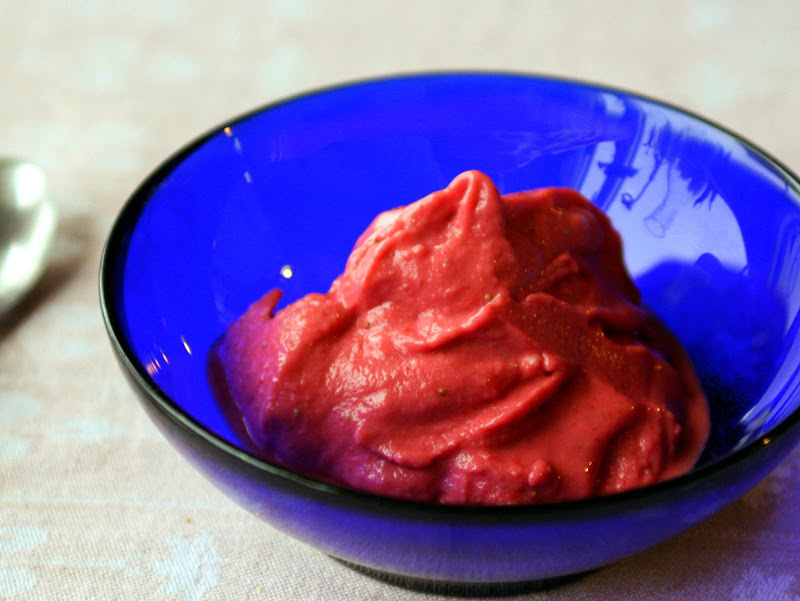 Transfer the berries to a food processor or blender, add ½ cup of the citrus syrup, and pulse until nearly smooth, frosty puree is formed, adding my syrup to blend, if necessary. Transfer the semi-frozen puree to a bowl and freeze to desired firmness - I like mine to be softly frozen - 20 minutes. This entry was posted in Bariatric Recipes, Desserts - Sugar Free and tagged Main, Sugar Free Desserts.